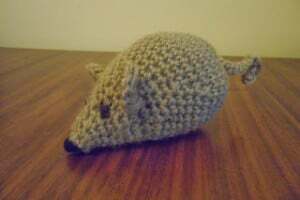 Here is a cute little mouse for the window sill or for your children to play with. The pattern recommends a DK weight yarn, a 4 mm crochet hook and stuffing. If you enjoyed this free crochet pattern you might also enjoy more designs by Crochet Addict.